iCIMS, one of the largest providers of Software-as-a-Service (SaaS) talent management and acquisition solutions, has recently partnered with PayScale, a market leader in online compensation information, to provide customers with compensation data as part of their Talent Platform offering. The enhancement helps iCIMS customers stay competitive with their talent while cutting down on the time, risk, and extra costs tied to traditional compensation efforts. Now users have easy access to detailed compensation information for 13,000 job titles in all cities in the US, Canada and seven other English speaking countries. Additionally, users can generate unique employee compensation reports using inputs such as education, experience, industry, size, and geographic location. Connecting with PayScale’s comprehensive database, users can match specific employee and candidate profiles with accurate compensation information. iCIMS customers can attract, recruit, and retain top talent with even more confidence knowing that their compensation strategy is aligned with the talent market and the specific needs of their organization. 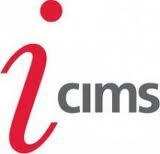 For more information about iCIMS, please visit their corporate website.